The famous YouTube and Twitch CS:GO player, WarOwl, confirmes he is going to commentate at the following BLAST Pro event. WarOwl will be a commentator for the first time in his life and that will be a chance for him to make a name on a big stage. Everyone who follows WarOwl knows that he always wanted to be an official CS:GO commentator. He has already cast many matches at past Major events on his Twitch channel. Also, WarOwl’s voice and accent imitations skills are so good. Although it doesn’t have anything to do with CS:GO itself, it can be useful for entertainment purposes. Related: WarOwl Proved that Valve is spying us? He definitely doesn’t lack CS:GO knowledge, so that is not going to be a problem for him. WarOwl will be a commentator in Miami together with fl0m, the former CS:GO pro player and Twitch streamer. 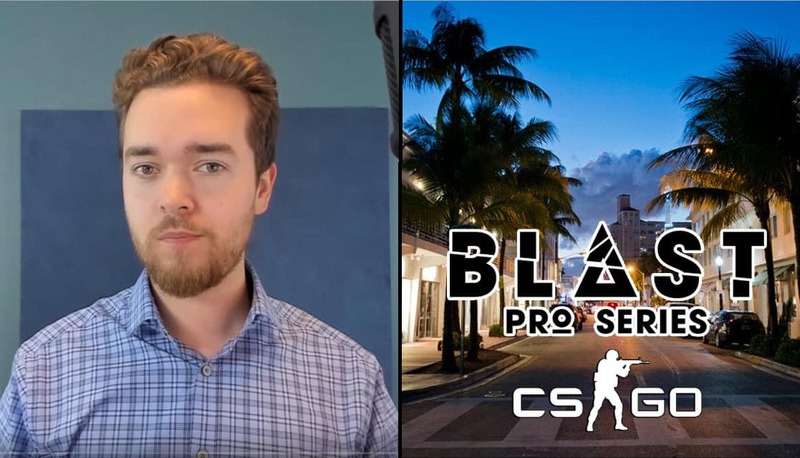 I have #partnered with the @BLASTProSeries and will be LIVE and IN PERSON in Miami, Florida NEXT WEEKEND! If anyone wants to buy tickets and get some discount, there are instructions for that in the WarOwl’s last video. You can get a 30% discount using his offer code. On top of that, the first 100 people who buy tickets for BLAST Pro Series Miami will have an opportunity to hang out with WarOwl at backstage. As he said, this will be one of the rare occasions when he can actually meet his viewers in person. He doesn’t get such a chance. He spends most of his time recording and editing videos at his home, so this will be something new for him. BLAST Pro Series Miami is going to be played from April 12th to April 13th. It will feature six teams. As well, BLAST Pro Series Miami will use the same format as all others BLAST Pro Series events. So, there is going to be a Round-Robin Group Stage. All teams will meet each other in Bo1 matches. Afterward, the best two teams will face each other in the Grand Final Bo3 match. Before Grand Final, the third team is going to play Pro Standoff Showmatch against the team they choose. The prize pool is $250,000. This BLAST Pro Series event will feature Astralis, Cloud9, FaZe Clan, Team Liquid, MiBR, and Natus Vincere. So, ENCE and Ninjas in Pyjamas are the missing teams from the previous event. For the first time in BLAST Pro Series, there are going to be a BPS Points. Two teams with most BPS points will play in the BPS World Championship Grand Final.